Techniques Used: cabling, picking up stitches, 3 needle bind off, button holes, I-cord bind off. Promotions: This pattern is also a part of the Rime’s the Reason Ebook. 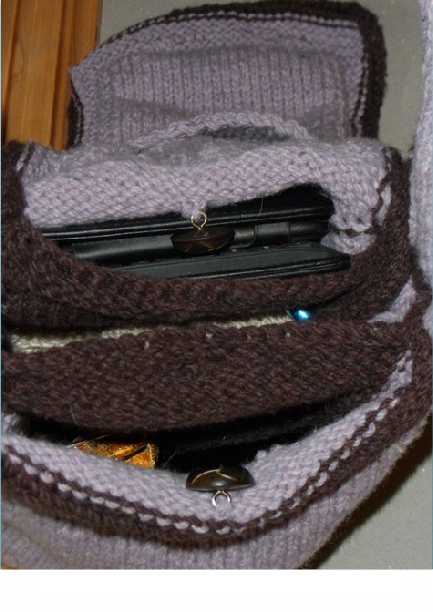 2 quick access pockets on the strap for my cell phone and wallet. a reasonable size–not so enormous it gets in the way and not so tiny I lose it easily. The bag is constructed by first making the strap/gusset in the large Rime Cable I’ve become so fond of, then grafting the ends to form a loop (my grafting cheat sheet is included). The strap is then trimmed with contrasting applied I-cord. 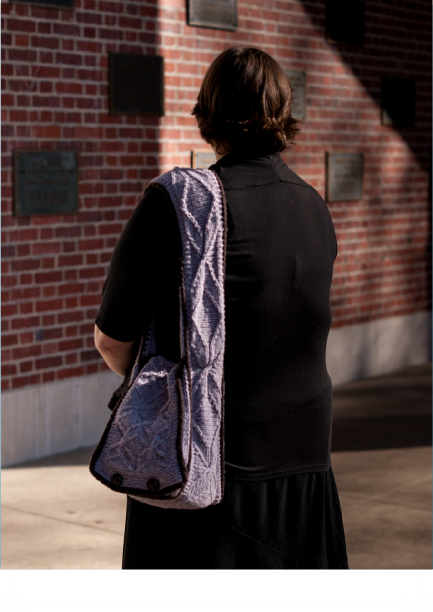 Then the various rectangular components of the bag (sides, dividers, pockets) are worked in place–there is no sewing. The front of the flap is worked in a smaller version of the Rime Cable and the entire opening of the bag is trimmed with contrasting applied I-cord. 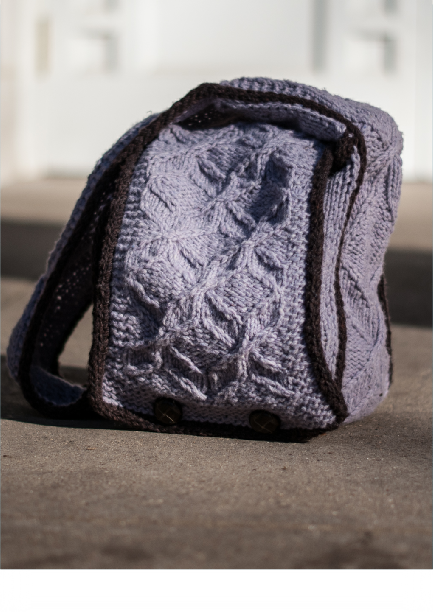 When all the components are completed a false bottom is created with extra-firm interfacing slipped into a pocket made of the contrasting yarn allowing the bag to stand up for itself!